Kentucky offers opportunity to all newcomers to the Bluegrass state. Opportunity for adventure lies within the Daniel Boone National Forest to the race tracks of the Kentucky Derby, it’s everywhere! The state of Kentucky gives Adopting Parents the opportunity to complete their families through adoption and helps Birth Mothers facing an unplanned pregnancy. Here, we offer you our informational guide to help you through your adoption journey. As a woman facing an unplanned pregnancy and starting the adoption process in the state of Kentucky, there are some important things for you to know. You must learn the laws, rules and qualifications of placing your baby for adoption. Birth Parents can make an adoption plan anytime during the Birth Mother’s pregnancy or after birth of the child. In the state of Kentucky, a Birth Parent can consent to placing the child for adoption 72 hours after the child is born. An application for voluntary discharge of parental rights must be filed in court of the county where the consenting parent or child reside in. A birth parents’ consent becomes irrevocable 20 days after voluntary consent by the birth parents. What Rights does the Father of the Baby have in Kentucky Adoptions? Any person to whom the above conditions do not apply has no parental rights to the child in question. Before an adoption can take place, there are specific laws, rules and qualifications in Kentucky concerning who can adopt or how you can adopt. Laws, rules and qualifications will vary based on the type of adoption you choose to pursue. All Adopting Parents must meet these requirements to adopt in the state of Kentucky. Prospective parents who have been a resident of any U.S. Army post, military reservation, or fort within Kentucky for 60 days may file a petition for adoption of a child in any county adjacent to the army post or military reservation. What Adoption Expenses can be paid by Adoptive Families in Kentucky? Expenses related to adoption in Kentucky range widely depending on the type of adoption you decide to pursue. What are the Laws to Become a Foster Parent in Kentucky? Foster parent training can take up to approximately four to six months before licensing approval. The amount of time until a family receives a child depends on how flexible the family is about the type of child they wish to parent. What are the Requirements to Finalize an International Adoption in Kentucky? To finalize an international adoption, the Commonwealth of Kentucky recognizes a foreign adoption decree that is issued under due process of law for a child that has been approved for U.S. citizenship. Re-adoption is the legal process of adopting a child again in the United States, after the child has already been lawfully adopted in another country. Re-adoption after an international adoption is mandatory in the state of Kentucky. The State Registrar will prepare a record of an foreign birth for a foreign-born child who was adopted by a State resident of Kentucky whose record of birth cannot be obtained from the country of birth. The certificate will state that it is not evidence of U.S. citizenship for the child. Is it legal to use advertising or facilitators to adopt in Kentucky? Advertising in Kentucky is prohibited. A person, corporation, or association cannot advertise in any manner that it will receive children for the purpose of adoption. A newspaper published, prepared, sold, or distributed in the Commonwealth of Kentucky shall not contain an advertisement that solicits children for adoption or solicits the custody of children. In Kentucky, the use of facilitators is illegal. Only licensed adoption agencies and county departments can facilitate adoption proceedings in the state of Kentucky. All adoptive parents in the state of Kentucky are required to complete a home study and a post-placement assessment after the adoption has taken place; regardless of the type of adoption you’re pursuing or the adoption professional you’re working with. Both will assess your ability to provide a nurturing and stable home to a child. What is Included in the Kentucky Home Study Process? The prospective parents, as well as any other adult living in the residence will be included in the home study process. The cabinet will conduct the home study for an applicant whose total gross income is equal to or less than 250 percent of the Federal poverty level guidelines unless the applicant submits a written request for the home study to be conducted by a licensed child placing agency. A licensed child-placing agency will conduct the home study process for an applicant whose gross income is more than 250 percent the Federal poverty guidelines. The home study must be completed before the approval of an application to adopt a child. The home study is credible for one year following the date of its completion. On what Grounds will the Home Study Not be Approved in Kentucky? What are the Post-Placement Home Study Requirements for Kentucky? The report must be submitted within 90 days that the child has been placed in the Adoptive Home. What are the Home Study Requirements for Stepparent or Relative Adoptions in Kentucky? A report is not mandatory in a relative or stepparent adoption, but the court in its discretion may request a report or background check. Kentucky is home to some amazing adoption agencies who are ready to help get you started on your journey. Whether it be adopting a child into your family, or finding resources to place your child up for adoption, these professionals are all willing and able to help you throughout this process. 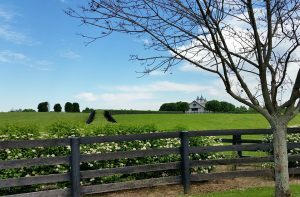 Take a break from the adoption process and venture into the Mammoth Cave National Park, or enjoy the vibrant city life in Louisville, Lexington, Bardstown. Whichever way you turn, adventure waits around every corner in Kentucky for Adoptive Parents and Birth Mothers.